Last week, the three of us (Adrian, me, and Theodore) packed up my flat-bar'd Polyvalent and her Neutrino (formerly known as the Small Wheeler) and journeyed down to Florida to get a good base tan in preparation for the season. It was my first time packing up the Neutrino into a small frame box for actual plane travel. We're still dialing in a proper bag/case, but we were able to save a few bucks by declaring it as a checked bag rather than a bicycle. 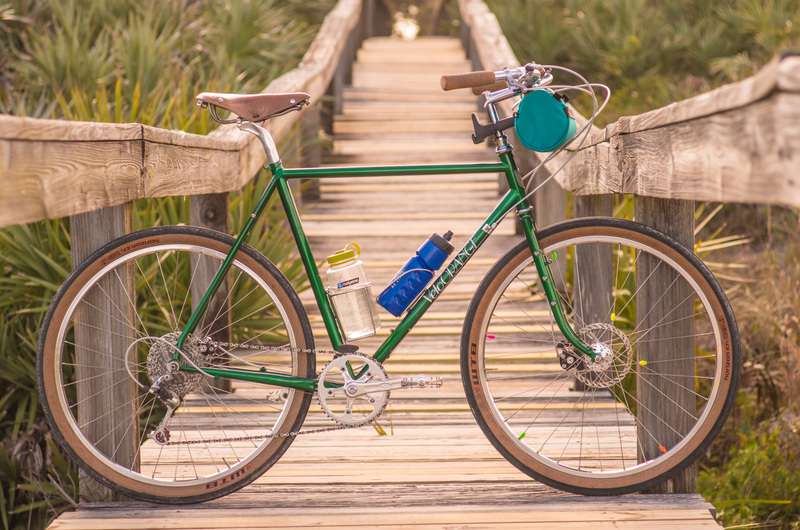 We could also add some of our gear as the total weight was much less than a full-sized bike with accompanying equipment - so win/win. Theo (the micro-manager) was there to lend a helping hand during assembly of my bike. 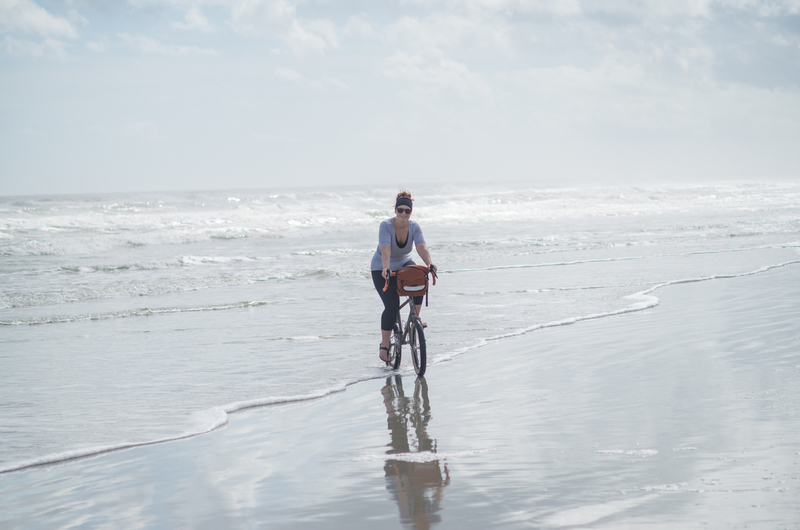 One of the highlights of the trip was riding on the beach. The sand is super fine and extremely compacted so you can ride on the beach for miles in either direction. 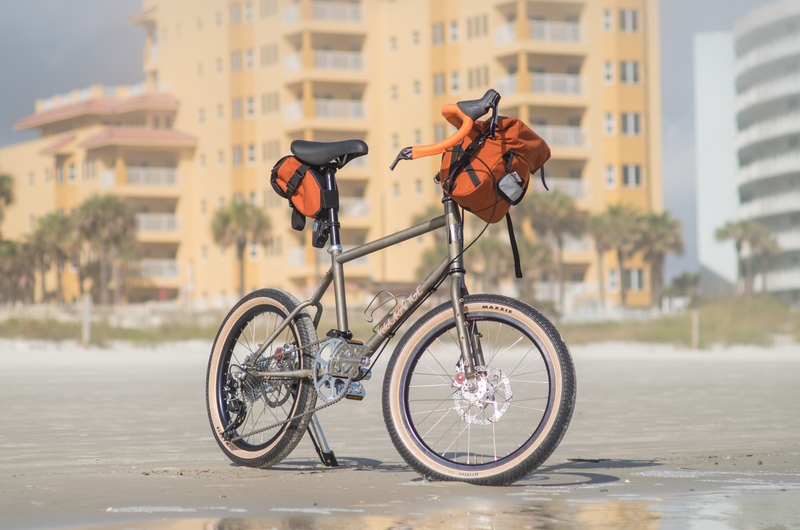 To ride safely on the beach, I aired my 47mm tires down to 30-ish psi and Adrian's 2.3" Grifters to about the same. Theo had an absolute ball. Since there were hardly any vehicles, we could stop anytime, play in the sand, and walk around. Our rides weren't anything epic or long. 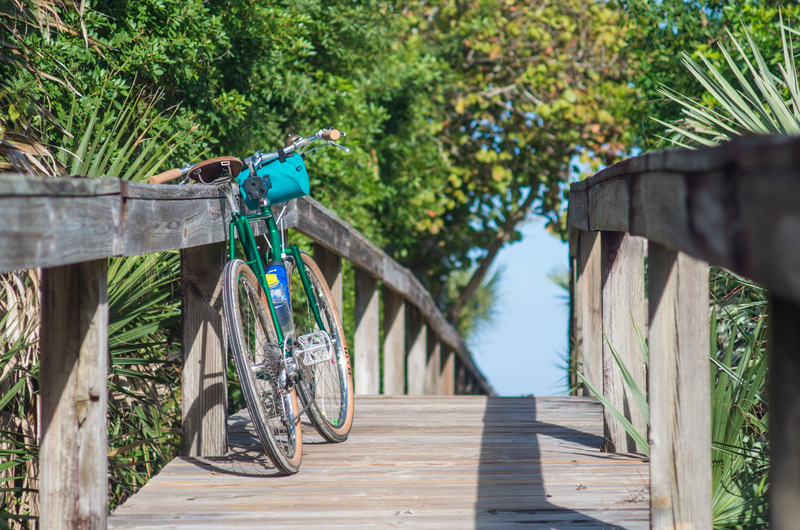 Just some fun family time, riding bikes, in a warm place, where memories can be made. Cork is a very versatile material. In addition to its application as a forgiving flooring, coffee shop message board, and drink coasters, we also use it in our Cork Grips. It provides a natural feel and wears into the hand position of the rider. More recently, we've used it on our upcoming Neutrino mini-velo to take up space between the fenders and mounting points. Now, if you're someone who perhaps doesn't drink wine, or your wine comes with a plastic screw top, don't despair. 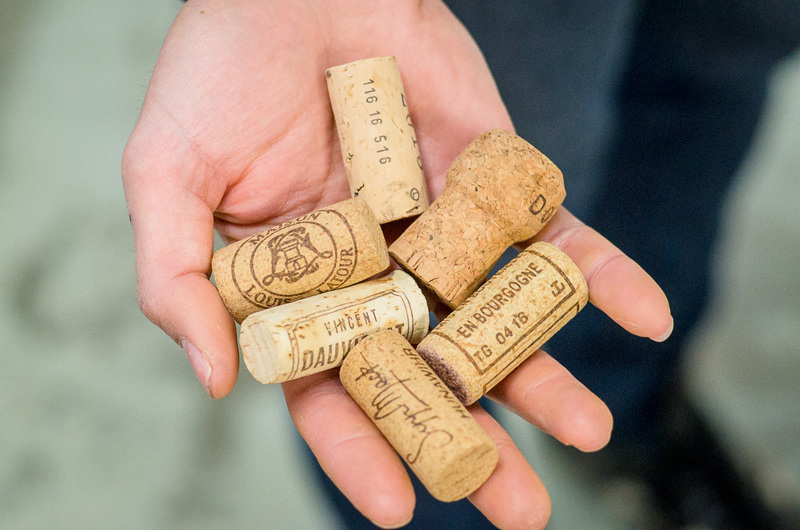 Many wine shops have bowls of corks about for free or you could ask around your neighbors for a couple. Some of the fancy Belgian beer bottles are using corks now, too, rather than flip-tops. So on to the nitty gritty of cork spacers. Most of it falls back to the idea of measure twice, cut once. You can cut cork with a variety it devices - an X-Acto knife works great for most folks, Igor uses a small saw to cut down ones for his builds. Just remember to be careful and keep the fingers away from the sharp blade. After you've cut the spacer to the desired thickness, take the appropriate size drill bit and drill a hole for the bolt to go through. You can get all precise, drawing a line through each axis on the cork to get the exact centre, or you can just eyeball it and it should be close enough for non-concours work. Igor suggests using wide spacers where you can such as between the cork and a braze-on lest you crack the spacer by creating a stress riser. 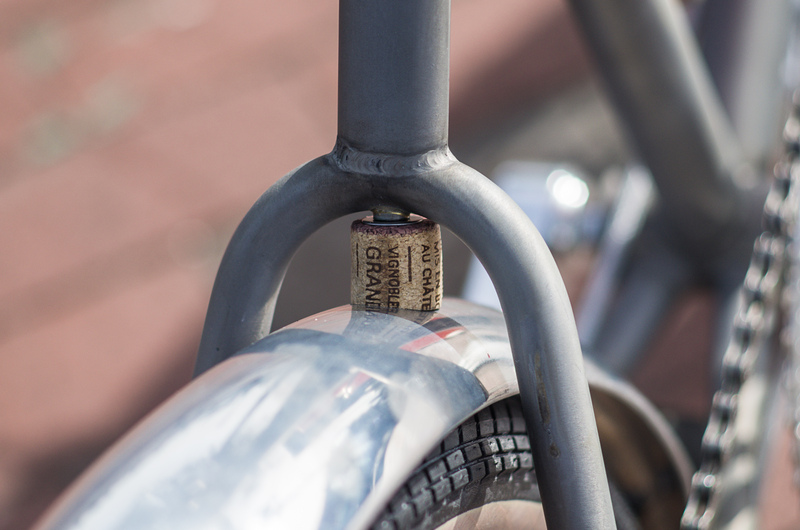 The cork should rest upon the fender specifically to compress and match the curvature of the fender. The good thing is that they are super easy to make, so if you need another spacer, you can probably use the leftovers from the cork you've already cut up. Now line up the fender, the cork spacer and the bolt and thread away! Update: We wanted to thank everyone who was able to stop by HQ for the Garage Sale and hang out! Happy riding! I know, I know. You're probably thinking to yourself, 'Spring? We're still uncovering ourselves from the last bout of snow!' For us in the Northern Hemisphere, the Meteorological start of Spring is actually March 1st. So since we'll be well into Spring, we're hosting our Annual Garage Sale at VO World Headquarters on March 9th, 2019 from 9am-Noon EST. We'll run it with the usual story of various bits and pieces for sale - bikes, prototypes, frames, parts, accessories, all for cheap. 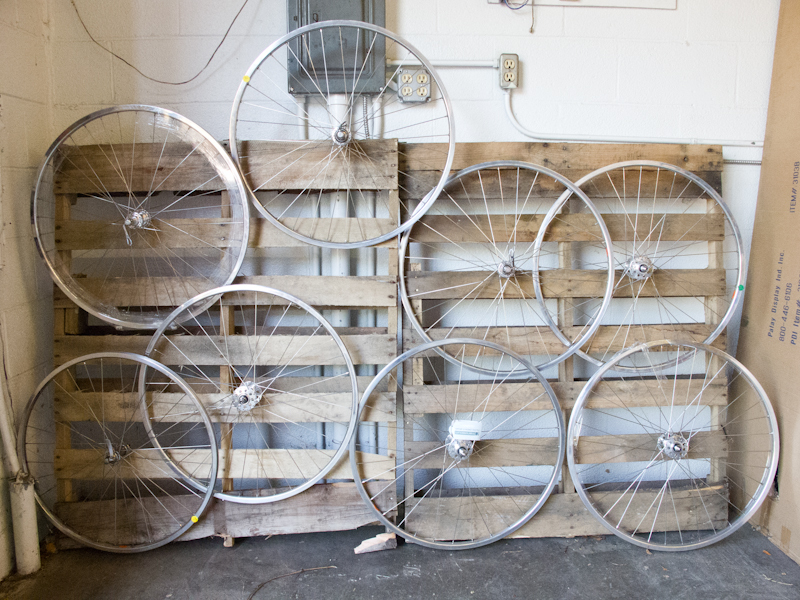 We'll also offer a 20% discount for all in-stock, non-garage sale items to folks coming to the shop. We'll have our usual supply of coffee and donuts for you to sip and munch on while perusing our vast wares. 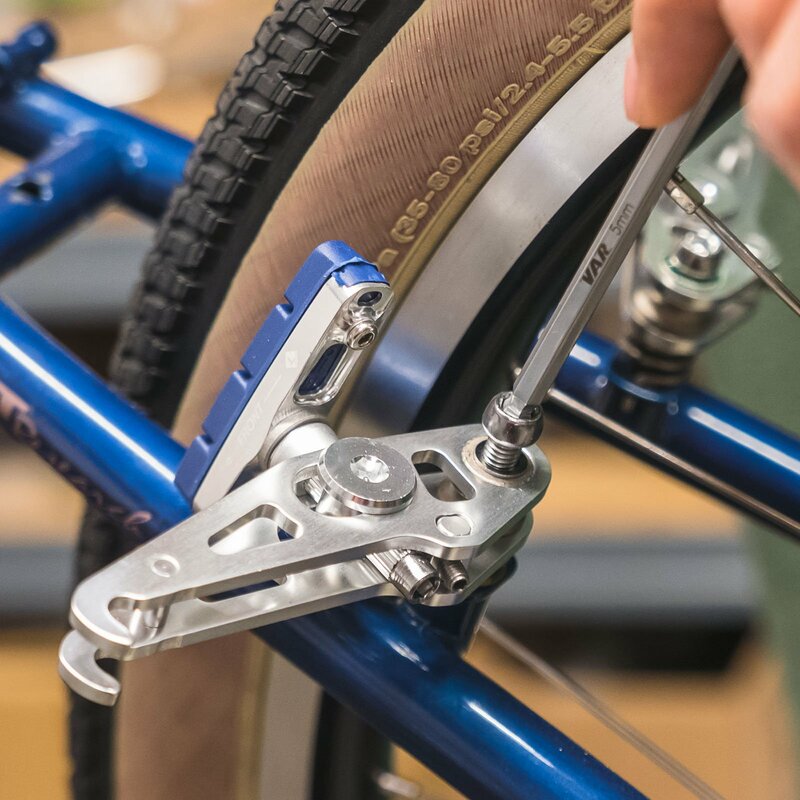 Ok, tools may not be the flashiest or Instagram-able part of your bike setup or shop, but having dependable, accurate, and easy to access tools makes for quicker builds and repairs. Everyone has had a frustrating experience on the side of the road doing a repair in the rain or just having lost that screw in the grass. 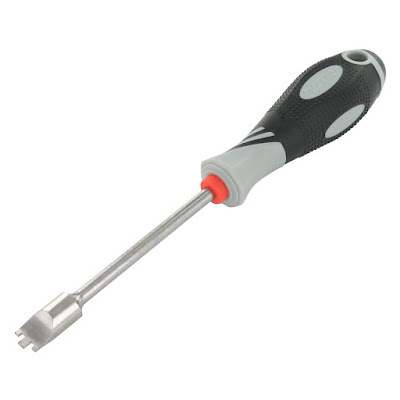 Your portable toolkit should be the least of your worries. These VAR Tools are highly precise, easy to use, and actually quite handsome. 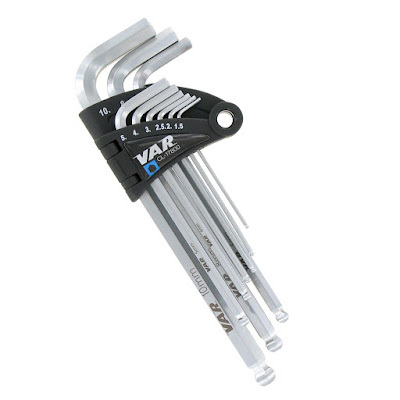 This Pro Wrench Set has all of the sizes from 1.5mm to 10mm, for tiny set screws, rack hardware, crank arms, hex stem bolts, bottle cage screws, chainring bol...well you get the picture. 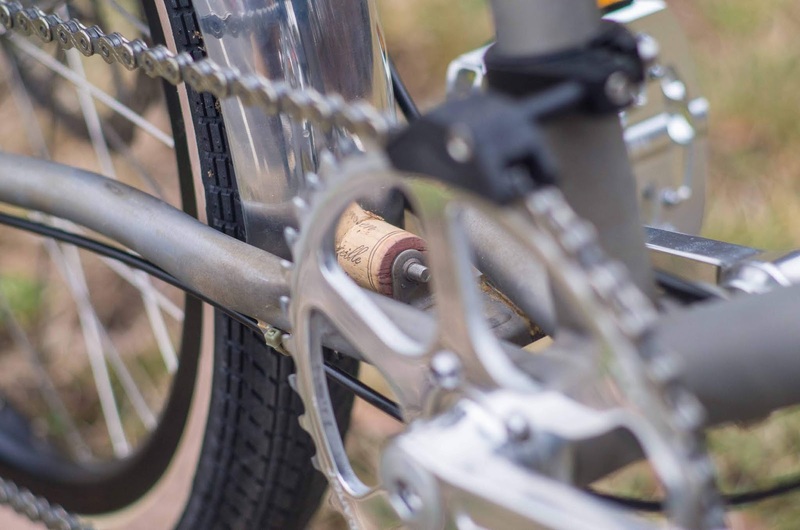 The insertion and removal is so exceptionally smooth, you'll find reasons to loosen and tighten screws and bolts all around your bike and house. So smooth when I showed them to Master Mechanic Tommy of Cutlass Velo, I saw a smile of the largest proportions appeared on his face - it was confirmation enough for me. 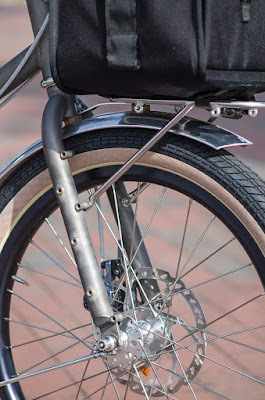 In addition to the regular flat hex side, it also has a ball-end for hard to reach places like bridges for fender installs. Out on the trail, this lightweight and minimalist multi-tool has all the necessary items for on-the-road adjustments. At only 80 grams, be careful it doesn't float away! This Chainring Nut Driver is a nice piece of kit for folks who often change chainrings either for themselves at the track or for customers' bikes in the stand. Since the prongs are on the end of the shaft, you don't have to worry about getting your forearms jabbed by shark-toothed chainrings. 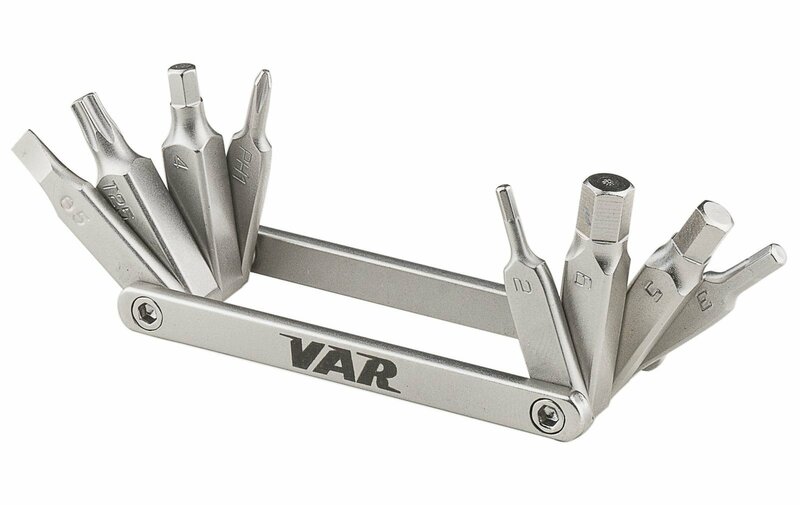 The last piece of kit is this VAR Tool Bottle. But it can, in fact, hold other items as well. Hard to believe right? In addition to your multi-tool it can also hold your credit card, cash, power gels, 400-speed film, or bandana. It fits in a standard bottle cage and weighs a meager 48g. All three tools are made in France and the bottle is made in Taiwan. When Jared, the moderator of the /r/xbiking subreddit, asked me about doing an AMA (Ask Me Anything), I was excited. While we here at VO try to be as transparent and approachable as possible, it isn't often that we get to take questions about anything in real time from people all over the world. It was a blast and gave my fingers one heck of a workout: typing furiously answering questions. Later on, Jared told me he was planning on launching a blog which would house links to all of the wonderful upcoming and past AMAs, display his touring and riding photos, and introduce general musings. 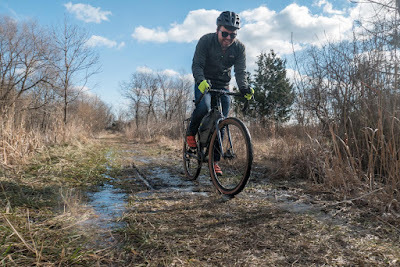 We had a nice break in the weather - after snow, pre-polar vortex - when we were able to schedule a ride and VO tour to chat about anything and everything including VO's identity, goals, and how to get more people on bikes. Here are a few excerpts and photos from our ride and chat. Be sure to jump over to the xbikingSuperNice website for the full interview! 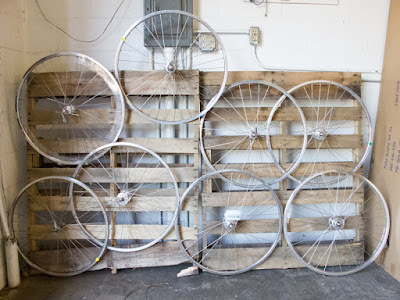 "The friendly and accommodating nature I remembered about Igor from those earlier interactions was again on display during my shop visit to Velo Orange and bike ride with Igor this past Friday. His favorite Bambi mug in hand, Igor was happy to shepherd me around Velo Orange’s office and shipping center in Annapolis, MD, and to introduce me to the members of their six-person operation." 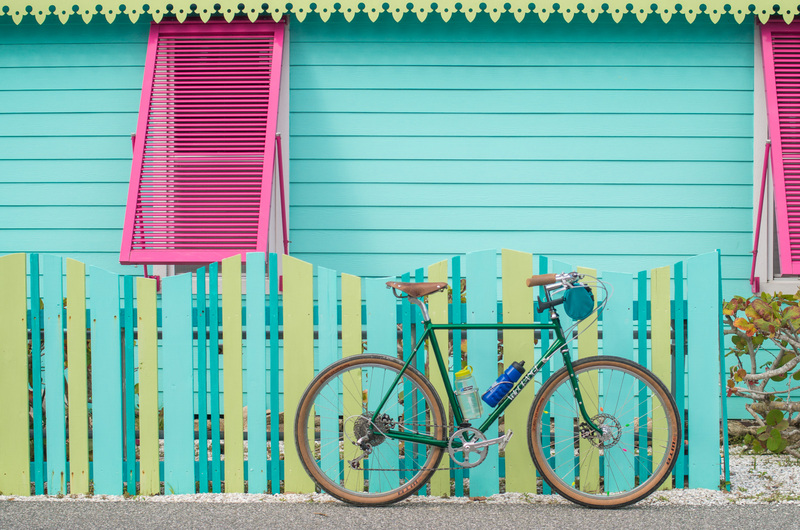 "'We'll always have that vintage aspect of Velo Orange's identity - just by virtue of what we appreciate in bike aesthetics. 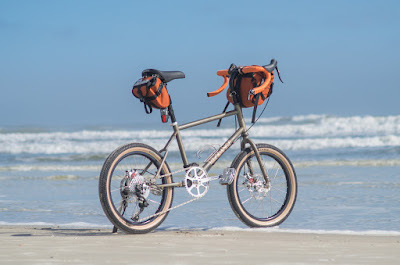 But more recently I think we've been offering new, more modern components, accessories, and frames that do still evoke that vintage aesthetic,' Igor explains. 'Everything we design and put in production arises from a practical concern from one of us at VO. 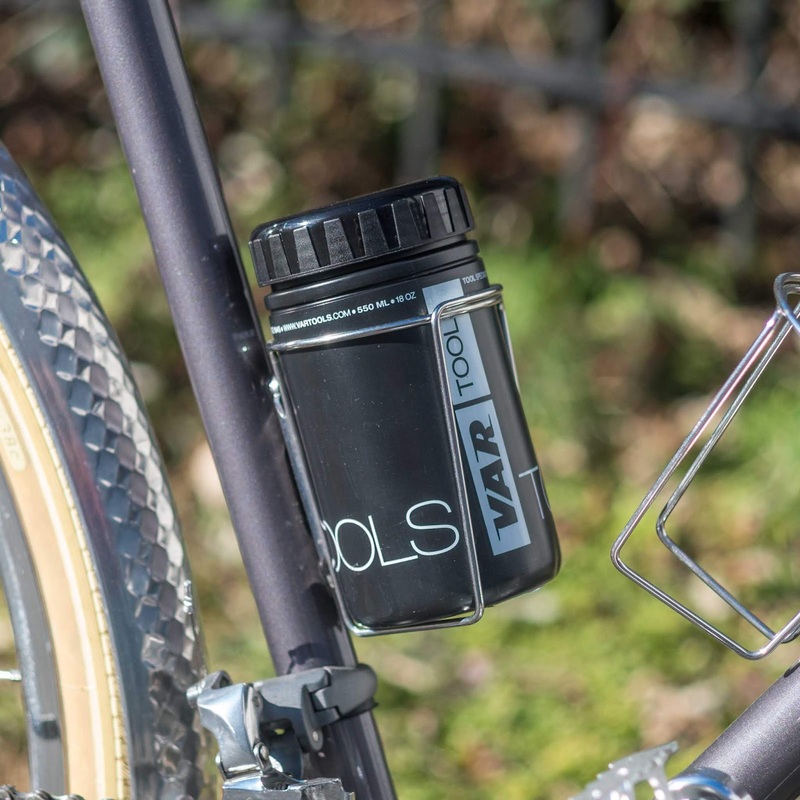 Everybody at VO has cycling experience, and subsequent opinions about wants and needs in bike components and accessories. 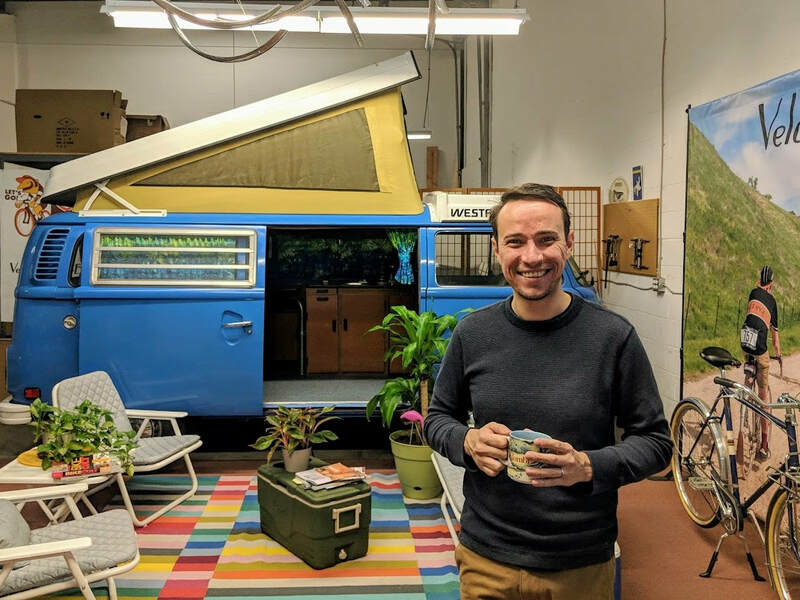 Even if an idea initially seems off-the-wall, we assess what the real utility of that product is, what sort of market we think exists for it, and if we're satisfied in our assessment, we just go for it.'" "The simplicity of this scenario, though, betrays the reality of Igor's family's initial journey to the United States. Igor was himself born in Moldova during the Soviet era, and as a young child immigrated as a refugee to the United States along with his parents and grandparents. As Russian Jews in the Soviet Union, Igor's family was part of a marginalized group and faced hardships unique to their marginalized status. The Shteynbuks' synagogue helped to facilitate their journey, and upon arriving in America, they made a home in Maryland. Igor has resided there ever since." 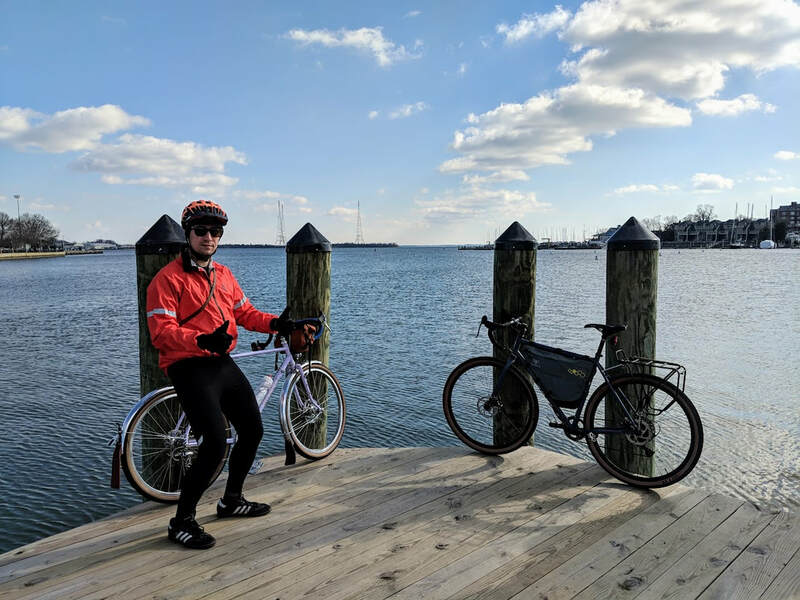 [About offering complete bikes] "'There's definitely a lot in the works,' he says, 'it's just a matter of getting the gears to match up and the wheels turning.' 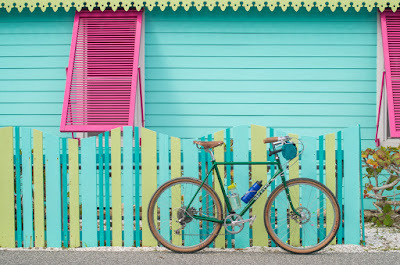 Note the choice of analogy - spoken like a true cyclist."